The Del-Mar-Va Council provides Scouting opportunities throughout the Del-Mar-Va Peninsula, serving over 300 units and 3,250 volunteers who are delivering the promise of Scouting to over 9,700 young men and women. The Council covers fourteen counties and is divided into 8 Scouting districts. The purpose of the Boy Scouts of America, incorporated on February 8, 1910, and chartered by Congress in 1916, is to promote an educational program for boys and young adults to build character, to train in the responsibilities of participating citizenship, and to develop personal fitness. A family and home-centered program for boys and girls in Kindergarten through fifth grade (5-10 years old). Cub Scouts are broken into a small group called a pack. The pack you join is up to you. You can look for a pack chartered by an organization you support, or simply choose the one closest to your neighborhood. With tens of thousands of Cub Scout Packs across the country, it shouldn't’t be hard to find one that fits you and your family. A program for boys ages 11 through 17 designed to achieve the aims of Scouting through a vigorous outdoor program and peer group leadership with the counsel of an adult Scoutmaster. Boys also may become Boy Scouts if they have earned the Arrow of Light Award or have completed the fifth grade. 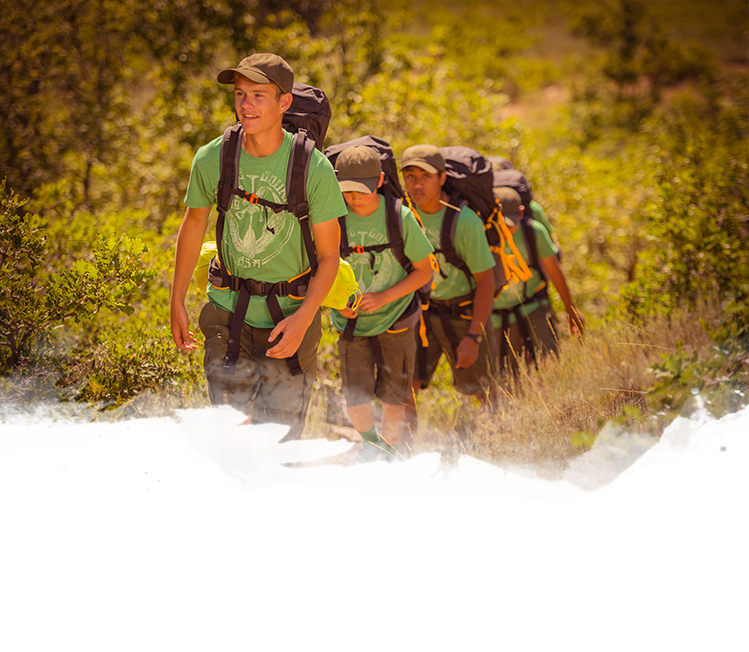 Designed for young men and women ages 14(who have completed the eighth grade) through 20 to gain insight into a variety of programs that offer leadership training, fitness, outdoor, service, high adventure, and career hands-on experiences. Venturing promotes the conditions necessary for the growth and development of adolescent youth. Sea Scout units, called "ships," focus on sailing and cruising either sailboats or power vessels. During the boating seasons, Sea Scouts learn to maintain and operate the vessel, with a focus on learning the safe and proper methods of handling boats. Sea Scouts also learn the meaning of buoys and lights, how to take advantage of wind and tide, and how to drop anchor or approach a dock. Research Studies on the Importance of Scouting. A research team from Tufts University worked with the BSA's Cradle of Liberty Council to measure the character attributes of both Scouts and non-Scouts - all with a goal of better understanding the character development of youth as it was happening. More than 2,000 Scouts aged 6-12 from across Philadelphia were measured in six key areas: hopefulness (hopeful future expectations), obedience, cheerfulness, helpfulness, kindness and trustworthiness. Over time, Scouts reported significant increases in several character areas, while non-Scouts did not. The more regular their meeting attendance, the better character attributes. More tenure equals better character attributes. Better program and more involvement equals better character attributes. When asked what was "most important" to them, Scouts were significantly more likely than non-Scouts to choose "helping others" or "doing the right thing" versus "being smart", "being the best",or "playing sports". The research comprised two interrelated surveys: one of 1,524 adults aged 18 and older across the United States (595 had been members of the Boy Scouts of America during their youth), and the other with 1,714 (fourth through 12th grade) youth attending public, private and parochial schools across the U.S. Of the 1,714 youth, 275 are or have been in a Scouting program. The surveys found that Scouting provides youth with an opportunity to try new things, provide service to others, build self-confidence and reinforce ethical standards. These opportunities not only help them when they are young, but carry forward into their adult lives, improving their relationships, their work lives, their family lives and the values by which they live. In fact, 83 percent of men who were Scouts agree that the values they learned in Scouting continue to be very important to them today, with 63 percent who were Scouts five or more years strongly agreeing with this statement.